Ice cream just gets us. Through birthdays and school milestones to comforting us through bad break-ups and powering us through marathon binge-watch-and-chill sessions, it’s always been there for us. Happily, chefs feel the same and are creating chilly confections that are next-level. 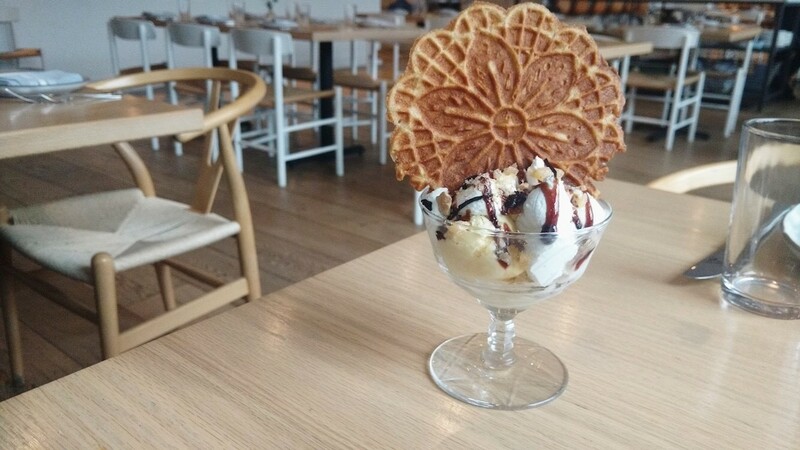 Check out these restaurants for ice cream to help you celebrate the ordinary and the extraordinary any day. Not near one of these spots? Find a restaurant that’s right for you on OpenTable. 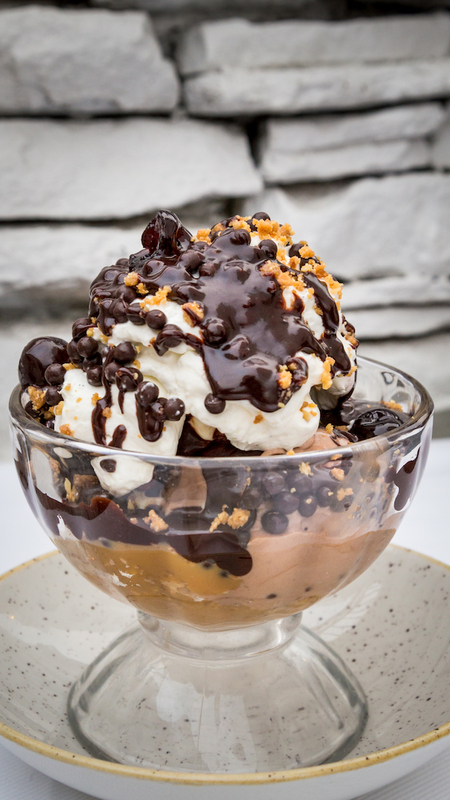 Gather three friends to tackle this DIY sundae. 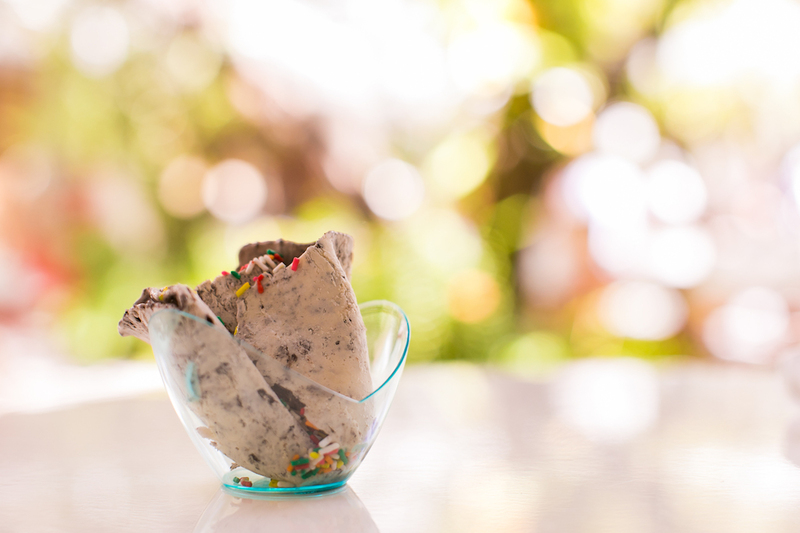 A Neapolitan trio of ice creams – vanilla, chocolate, and strawberry – comes with a candy store worth of topping. 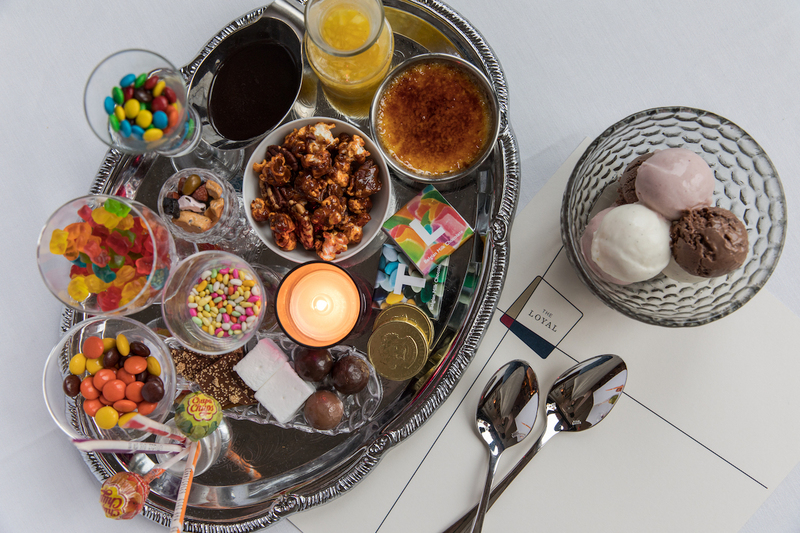 From marshmallows and gummy bears to Reese’s Pieces and chocolate squares, there’s everything your sweet tooth could desire. Make a reservation at The Loyal. We love doughnuts. We love ice cream. 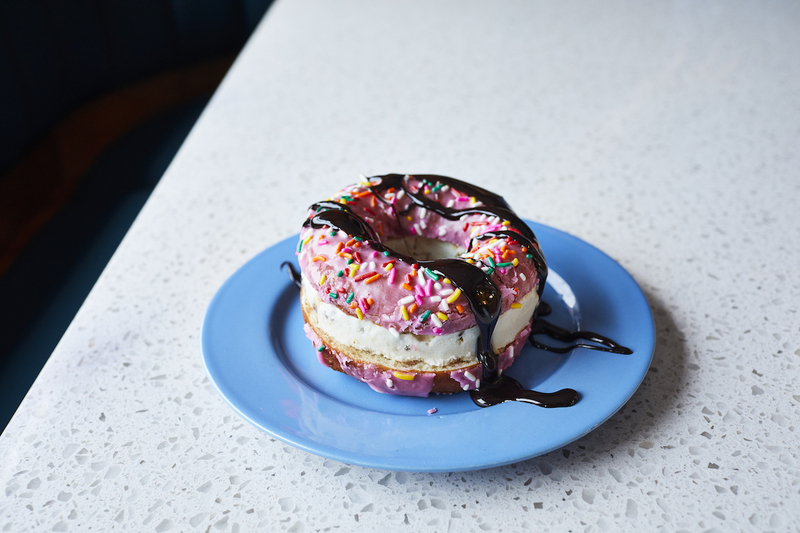 So of course, we adore this doughnut ice cream sandwich, which features rotating flavors. Make a reservation at The Mockingbird. 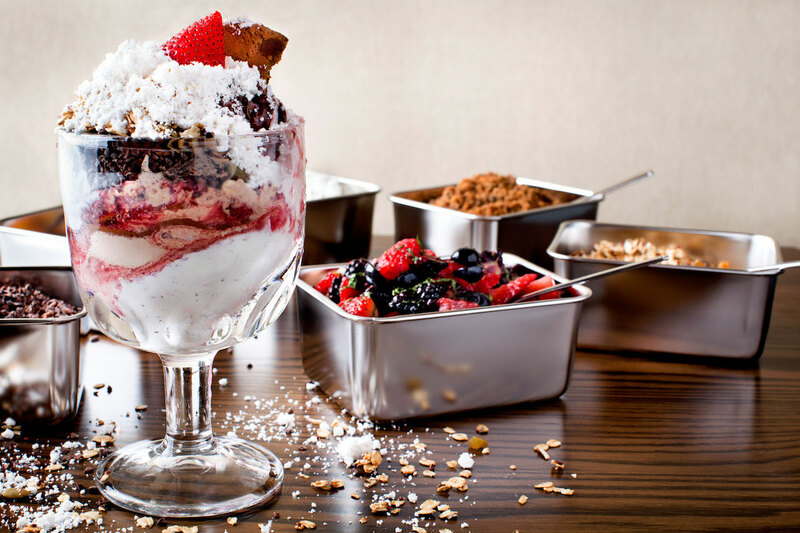 You might head back to bed after you take down chef’s Naptime Sundae. Generous globes of vanilla and Guinness ice creams are crowned with Heath Bar cookie crumbs, maple syrup, and bacon fat powder (which is pretty much the greatest invention ever). As if that wasn’t enough, it’s finished off with a shot of whiskey. Make a reservation at Radiator. It all begins with four scoops of gelato. The usual suspects are vanilla, chocolate crunch, strawberry, and pistachio, but diners request any gelato on the menu. This sweet quartet gets coronated with hot fudge, caramel sauce, whipped cream, crunchy chocolate pearl, and Amarena cherries (plus rainbow sprinkles, if you ask nicely). Make a reservation at Casolare. You’re gonna go ape…, erm, crazy for this sweet treat. 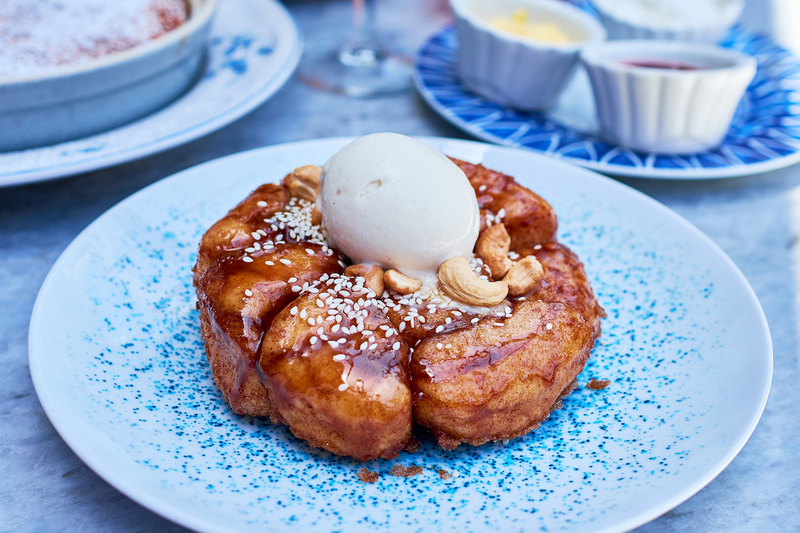 Monkey bread is lavished with caramel sauce and sesame seeds. Plus a scoop of tahini gelato because you deserve it. Make a reservation at Herb & Wood. 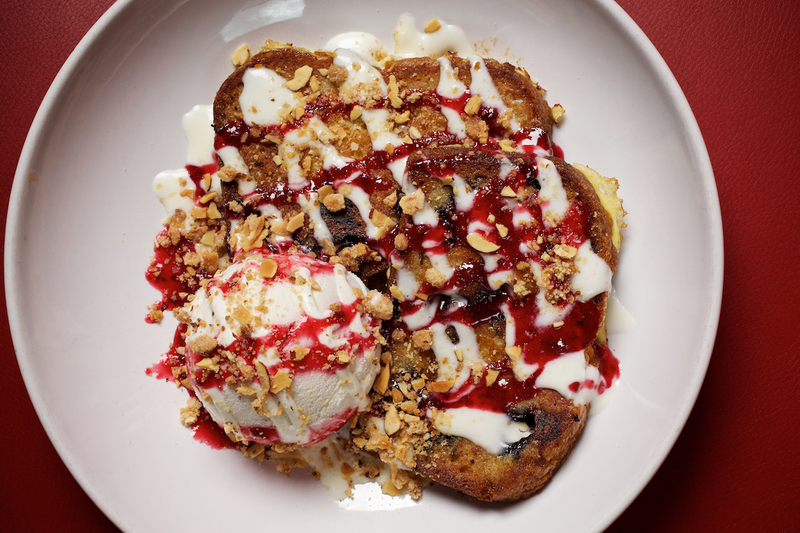 We drool just writing about this dessert-inspired brunch fave. 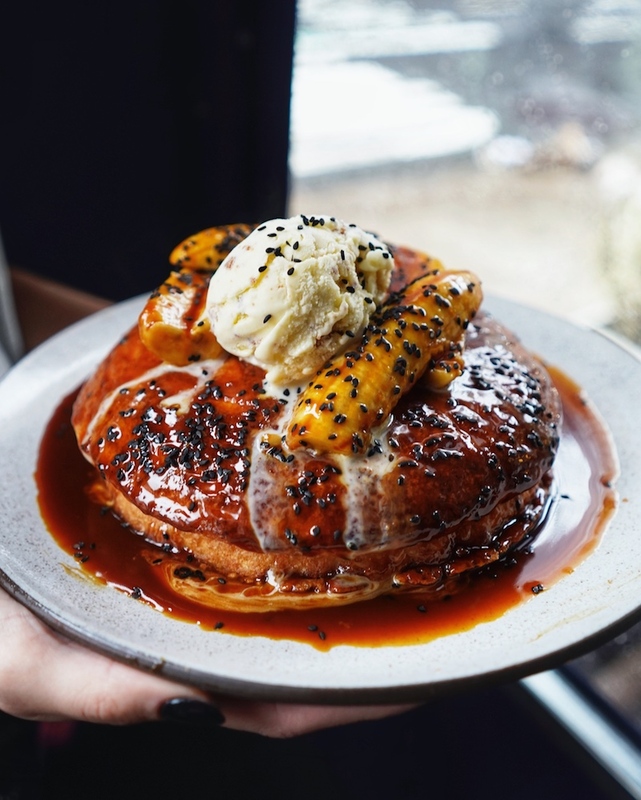 Inspired by Bananas Foster, it features fluffy Japanese-style pancakes topped with banana, black sesame, black sugar syrup, and rum. Oh, yeah, and a scoop of salted miso caramel ice cream. Make a reservation at Bessou. Matchbox – 14th Street, Washington, D.C.
Blueberry muffins meet French toast in this epic mashup. The two-for-one breakfast bites come with lemon curd, salty almond streusel, and vanilla ice cream. Guaranteed to put a smile on your face. Make a reservation at Matchbox – 14th Street. You could call chef Frank Ferreiro a high roller. That’s because he’s a master of crafting rolled ice cream as guests look on with delight (and take all sort of pics for their Instagrams). He tops off the sweet rolls with sprinkles, marshmallows, and fruit. Make a reservation at Nikki Beach. 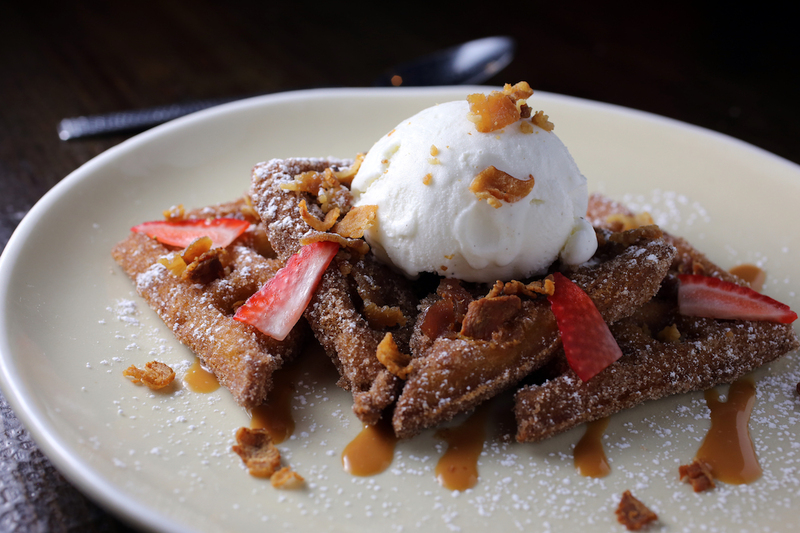 Churros, now in waffle form. They come with cajeta (Mexican caramel sauce made with goat’s milk), crispy bacon bits, and a generous scoop of vanilla ice cream. Close your eyes when you take a bite and you’ll swear you’re in CDMX. Make a reservation at La Sandia. Can’t make up your mind what you want for dessert? Order all of the things. 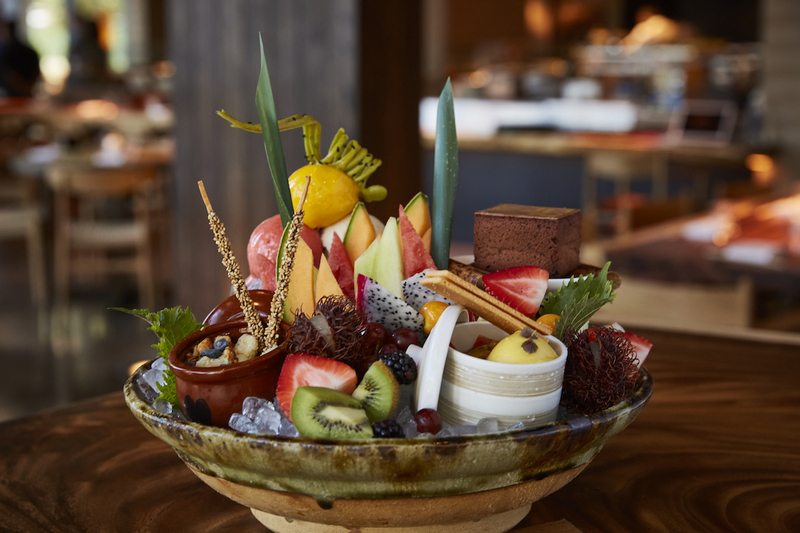 This massive platter features a peanut, vanilla, and chocolate sundae with sesame Poki sticks, crunchy milk chocolate, and pear ice cream, mochi, and sorbets – plus guava mousse, and dark chocolate and green tea pudding. Make a reservation at Etaru. Dude, this ice cream is, like, totally awesome. 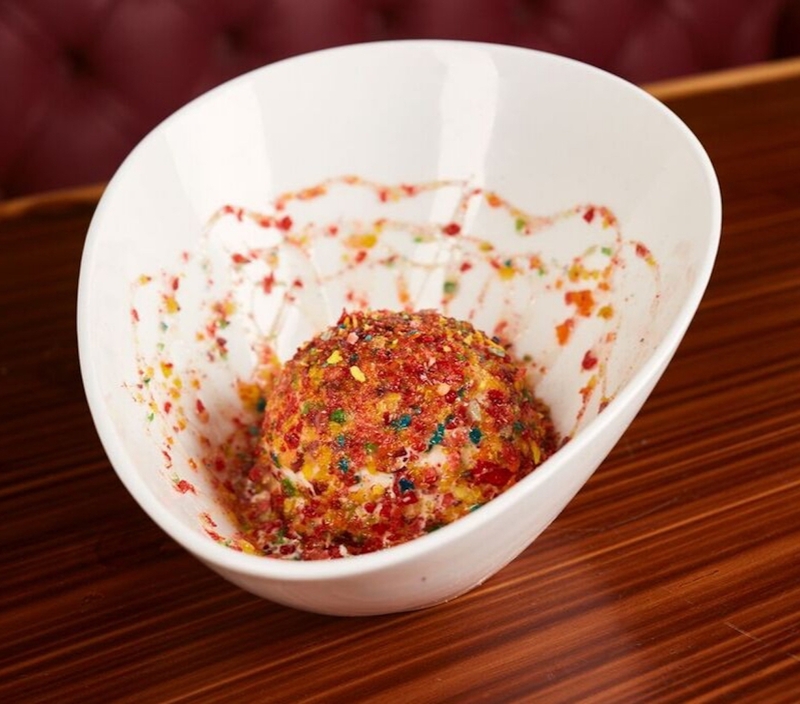 Fried cinnamon ice cream gets enrobed in a crunchy, colorful layer of Fruity Pebbles. All that’s missing are the Saturday morning cartoons. Make a reservation at Vidorra. Get your phone out, because there’s a killer Boomerang opportunity about to go down. 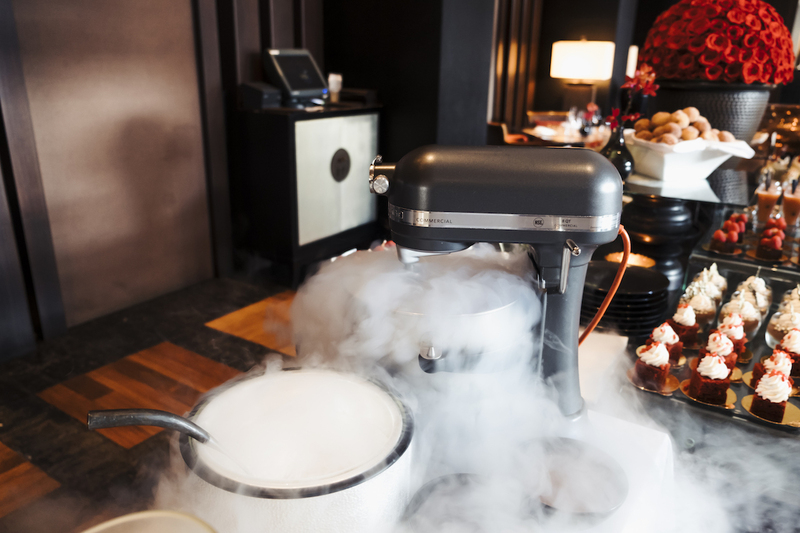 At the Sunday Jazz Brunch, ice cream is churned on the spot. Diners then get to top it off as they see fit. Make a reservation at Jaya at the Setai. Need to wake up in a flash? 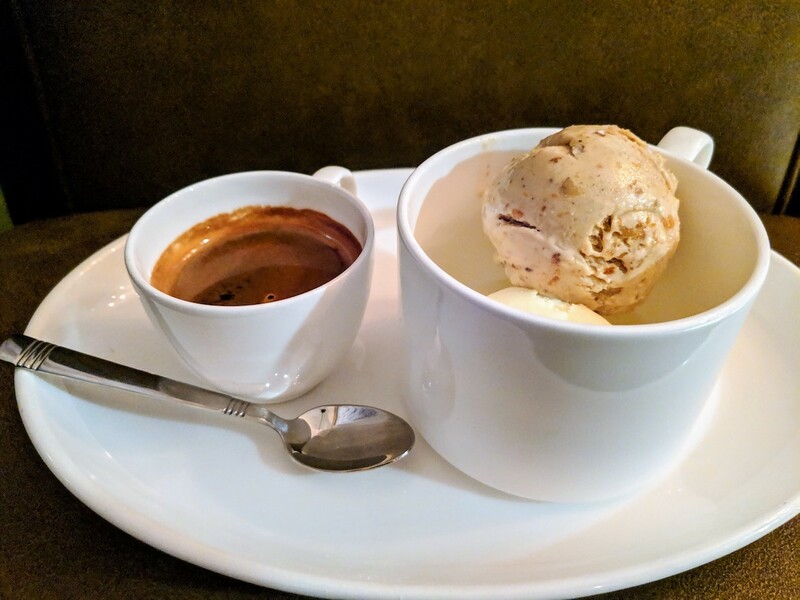 Order the affogato: a double espresso poured over a scoop of vanilla ice cream. 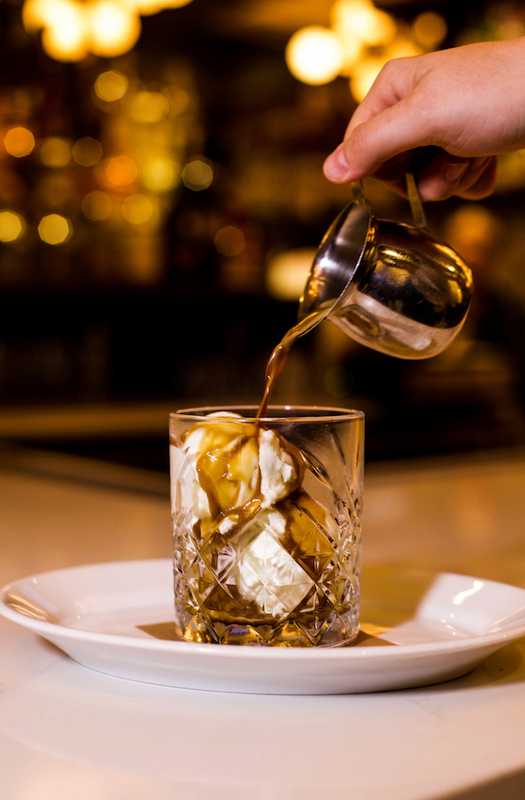 Get it Italian style by requesting a shot of Fernet Branca Menta in it. Make a reservation at Urbana. You won’t ever forget this sundae. Frangipane ice cream swirled with Umeboshi cherries and mascarpone ice cream get topped off with cherry balsamic reduction and almond candy crunch. #UtterlyUnforgettable. Make a reservation at Henrietta Red. What are your picks for restaurants for ice cream? What occasions do you celebrate with ice cream? Let us know here or over on Facebook, G+, Instagram, Pinterest, or Twitter. And, remember to snap + share your #dishpics with us on Instagram for a chance to win in our weekly giveaway. Photo credits: Emily Dorrio (The Mockingbird); Jenna Murray (Trademark); Ben Hon (Bessou); Clark Douglas (Casolare); Michael Pisarri (Etaru); Doug Schneider (La Sandia); Deb Lindsey (Matchbox); Dillon Burke (The Loyal).